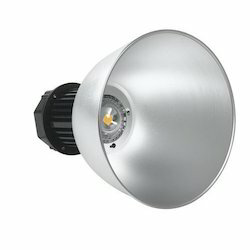 We are a reputed firm engaged in the manufacture, export and supply of a variegated range of LED Bay lights to our esteemed clients across the world. These products are manufactured using high quality raw materials sourced from reputed vendors in the market. 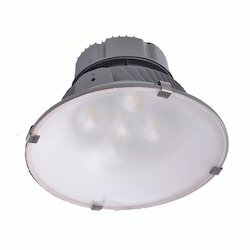 Offered at industry leading rates, these lights have immaculate quality and durability. Under this category we offer the following products. We manufacture, export and supply a broad spectrum of LED High Bay Lights to our clients spread across the globe. These products are manufactured using high quality raw materials sourced from reliable vendors in the market. Moreover, we supply this range at industry leading prices. Appreciated for its superior quality, these lights are used in many areas to offer immaculate performance. We are estimated among the noticeable organizations in the market, offering dimensionally precise assortment of LED Mid Bay Lights. Our offered product is manufactured using excellent-quality raw material and contemporary methodology under the strict vigilance of adroit employees. To avoid any type of fault, our quality analyzers inspect this product on varied restrictions of quality. We offer superior quality LED Bay Lights, which are widely used for lightning purposes. 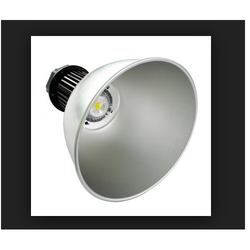 Manufactured using high-grade components and material under a quality bound process, the lights are highly reliable. Furthermore, our clients have appreciated for formidable attributes such as compact and unique design.